Thomas Hedlund, LMFT: "Indecent Exposure. DVD Lecture Series. Shame and Addiction. The Hijacked Brain's Quest for Wholeness"
A four part lectures series by Thomas Hedlund, LMFT. Available on DVD and VHS-Cassette. "Introduction to Addiction and Affect Regulation"
Early life experiences and attachment problems set the stage for addictive and compulsive behavior. Affect regulation theory helps explain what causes our deep resistance to changing self-defeating behavior. How survival mechanisms continue to affect us and what can be done about them is discussed in this video lecture. "Shame as the Core of Compulsive Behavior"
Research reveals the impact of shame and trauma on child development and adult function. This unprocessed fear and painbecomes the psychological and emotional core of addiction.How shame is acquired and affects our function is explained. What can be done to recognize and heal shame is discussed in this video lecture. A decade of addiction research reveals the science behind the hijacking of the brain. How powerlessness occurs, what brain changes take place and how this affects behavior is explained. The process of brain recovery and repair is discussed to assist in more effective treatment and aftercare planning. Our response to fear determines how we react in relationships. Fears effects on brain function is forcing changes in how we think about intimacy and conflict. Common misconceptions are contrasted with effective methods for managing emotions and self disclosure. A model of differentiated intimacy is explored. "Indecent Exposure". The Complete 4 DVD-Set"
DVD#1: "Introduction to Addiction and Affect Regulation." DVD#2: "Shame as the Core of Compulsive Behavior." DVD#3: "The Neurobiology of Addiction." DVD#4: "Normal Versus Healthy Communication". Just call us or fax your order form to us. Payment must be made by check or money order. Shipping cost is $15.95 total for one to three sets. For orders of more than one set, please call or e-mail for discounts! All lectures are available on DVD and VHS Cassette. "The Hijacked Brain's Quest for Wholeness" is a landmark piece of work. It is a user friendly approach to addiction and affect regulation. The process that Tom has given us here in Australia brings recovery out of the dark ages. Clients and mental health professionals have clear guidlines into shame, compulsive behaviour and effective communication. I would reccommend this work to all those who wish to gain a better understanding of who they are. "In my 25 years of working in Addictions, Tom is one of the few trainers possessing the ability to present usable information to the Professional, Public and Recovering communities simultaneously. He also has the unique ability to mold his presentation style to meet the needs and expectations of his audience. 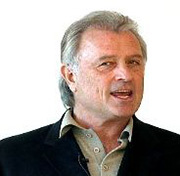 I would not hesitate in recommending him as a trainer, keynote speaker or workshop presenter." Tom's ability to blend cutting-edge science and the dynamics of emotional healing in a clear and comprehensive manner have made a profound effect on our workshop participants. I recommend his training's to healers, counselors, and everyone's seeking personal growth. Director of Training, American Indian Training Institute. Inc.